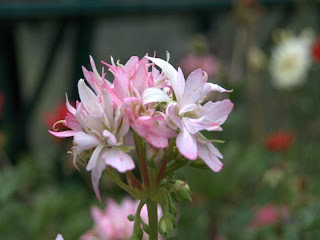 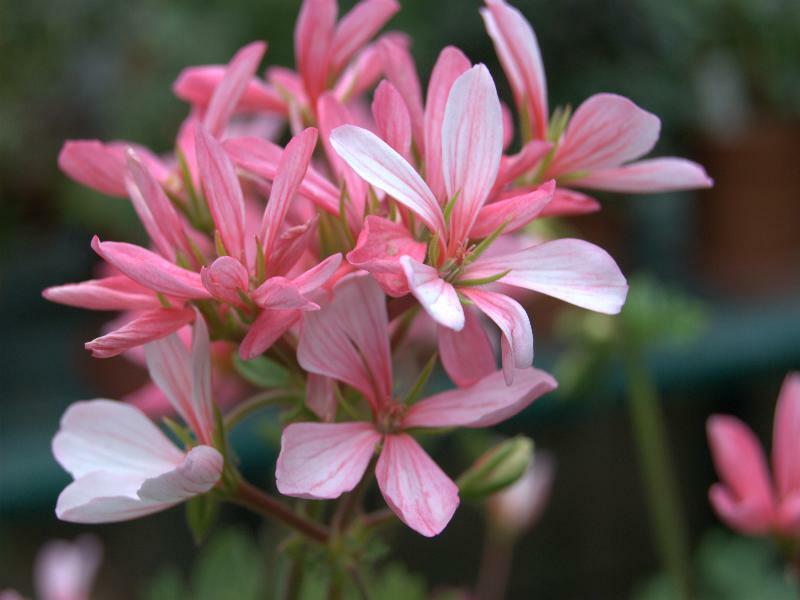 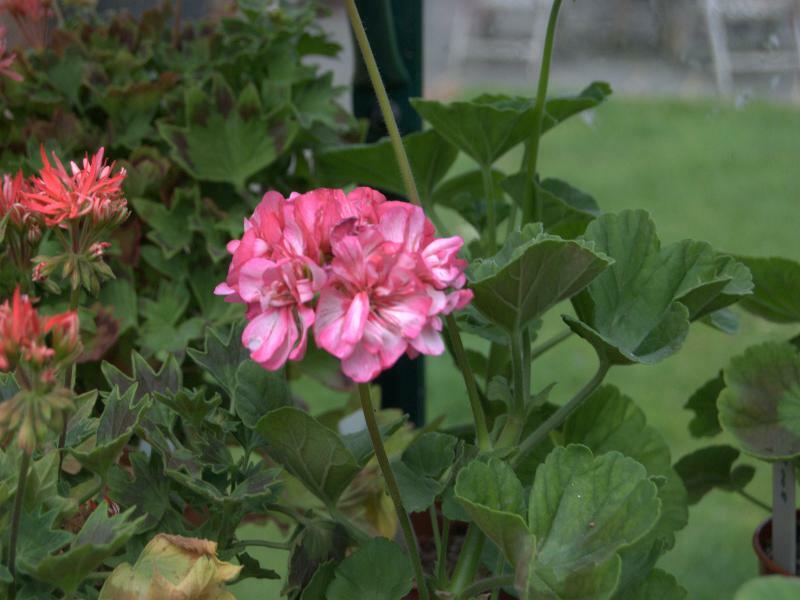 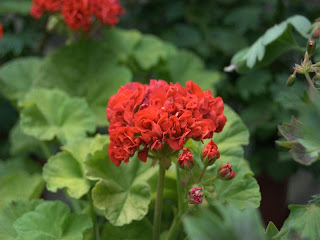 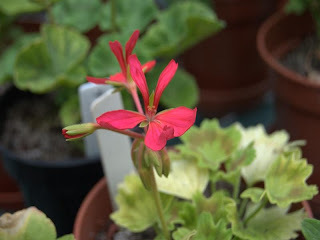 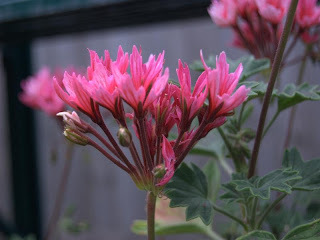 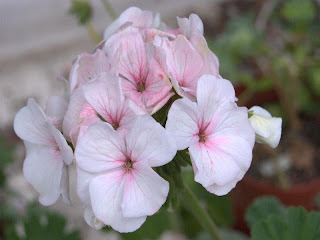 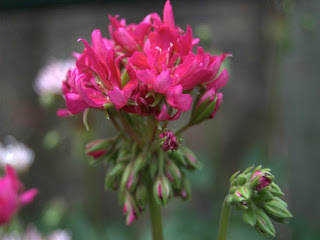 When I visited Michiel's Fuchsia & Pelargonium Nursery nursery in Belgium earlier this year (see my post on 21st May) I spotted the dwarf zonal pelargonium "Mini- Czech". 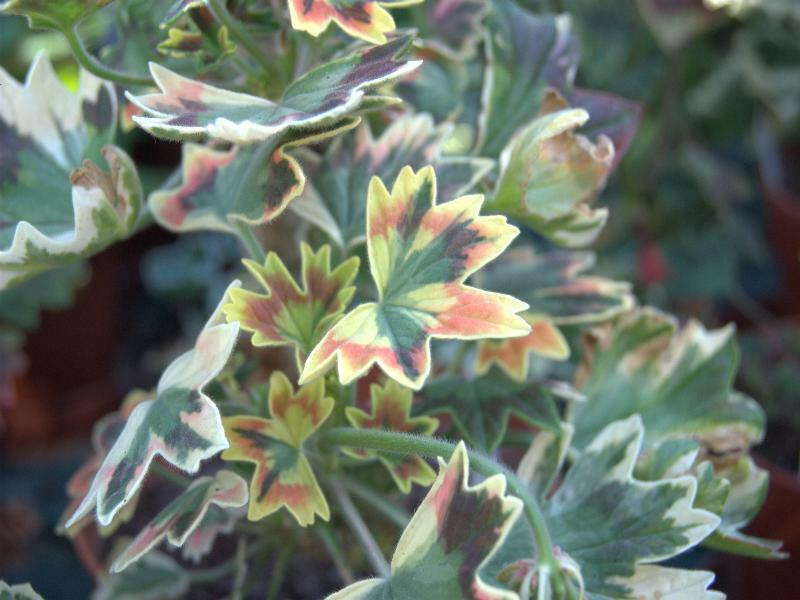 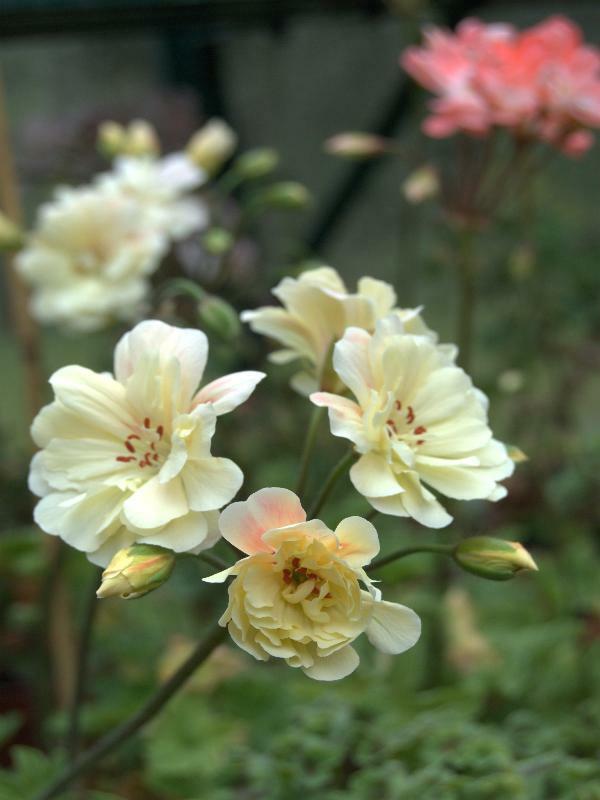 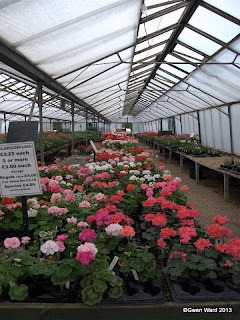 I know I can get "Mini Czech" here, (Fibrex Nurseries sell it - see below) but I was there, and I had not grown this plant for many years, so two plants were added to my basket. I have a friend who is from The Czech Republic, so it was an ideal gift for her and I got one for me as well. 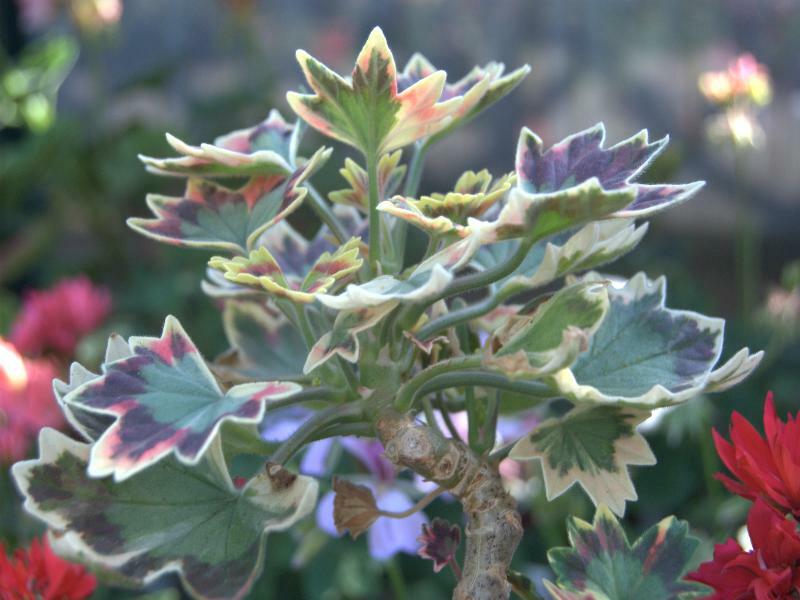 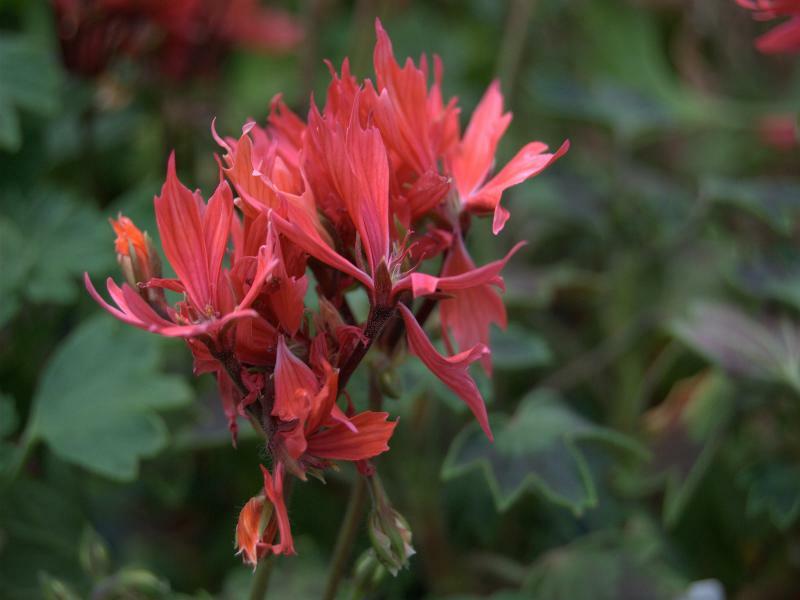 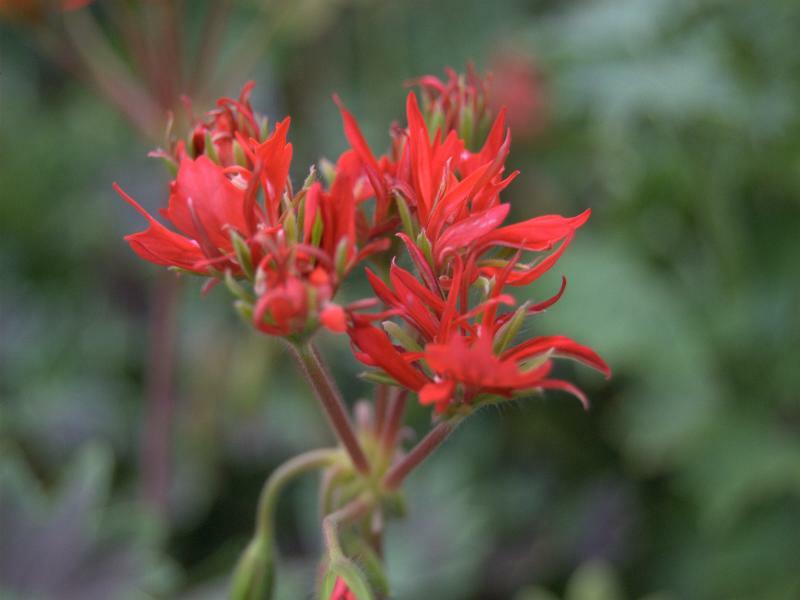 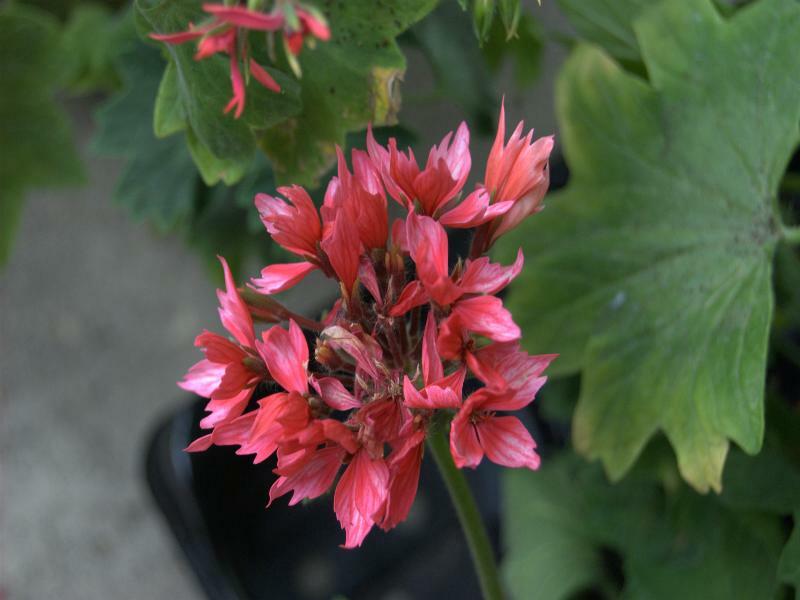 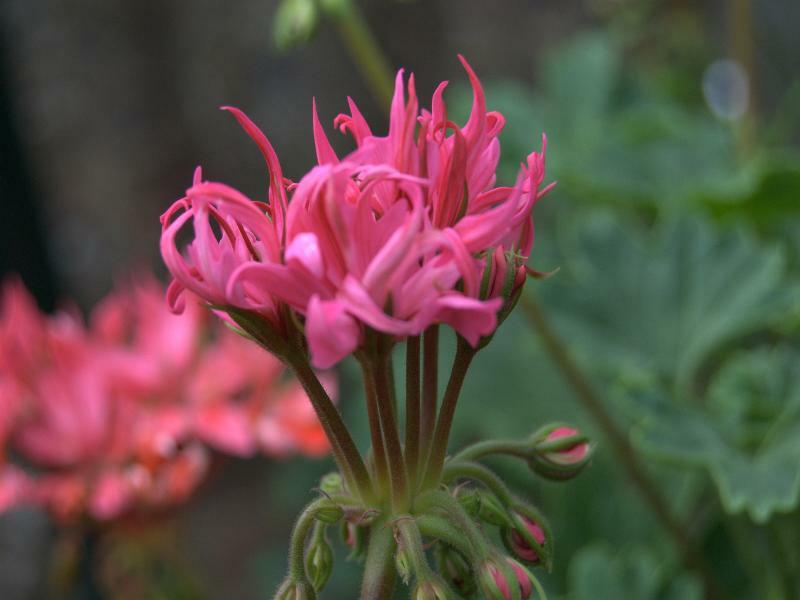 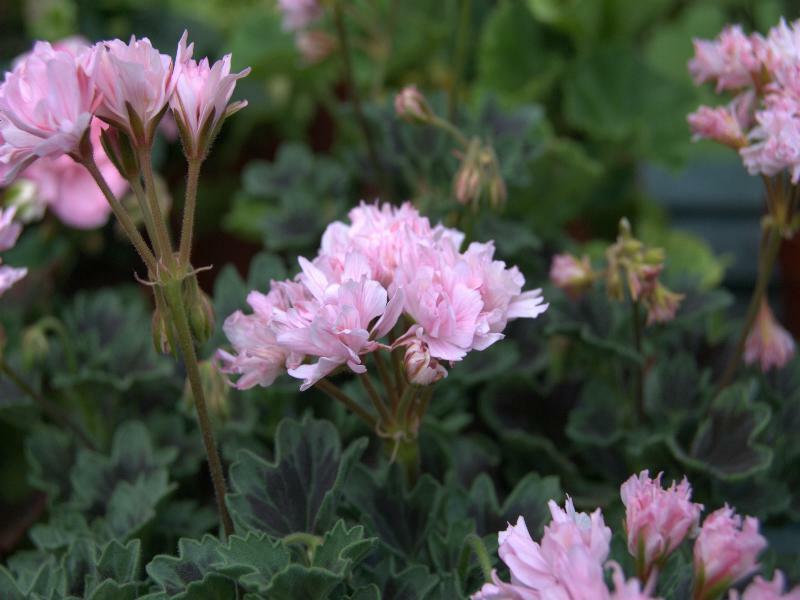 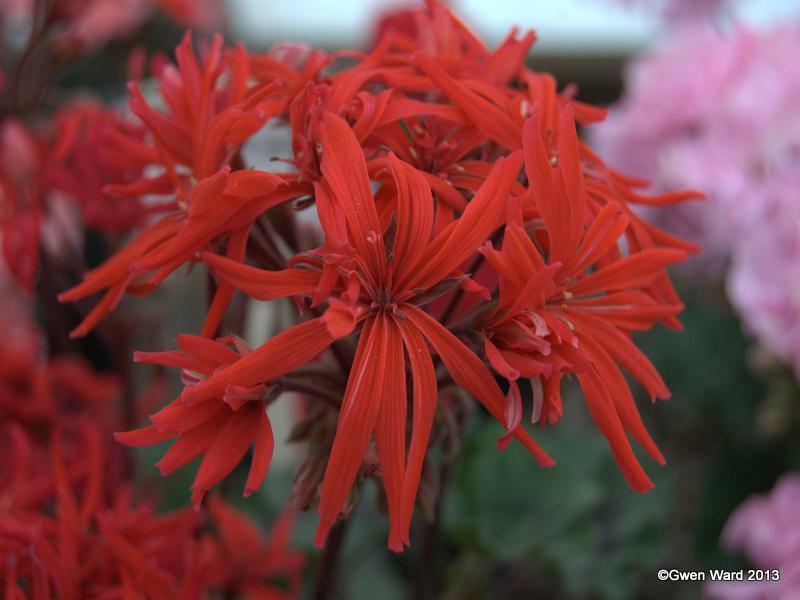 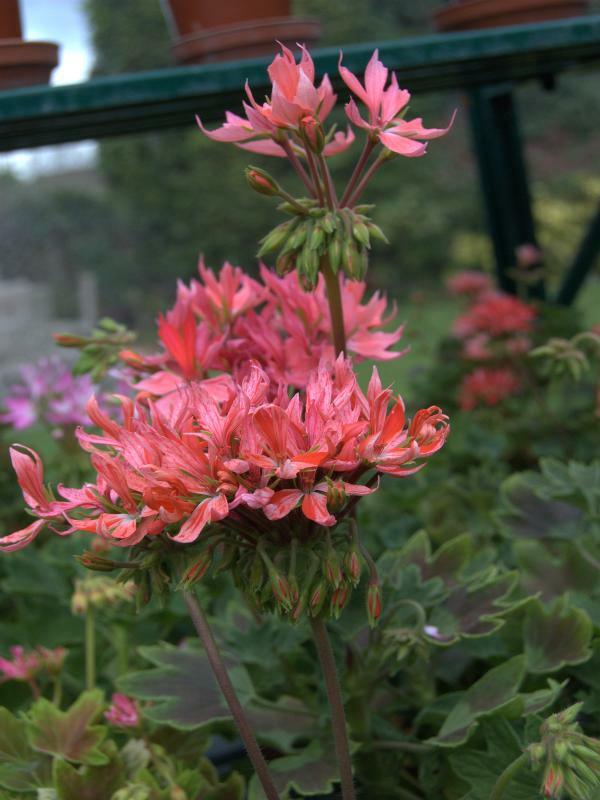 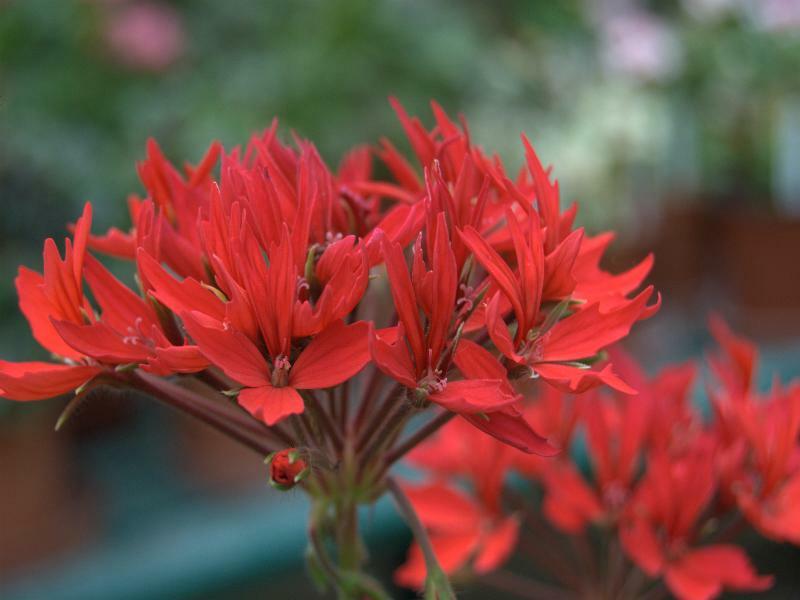 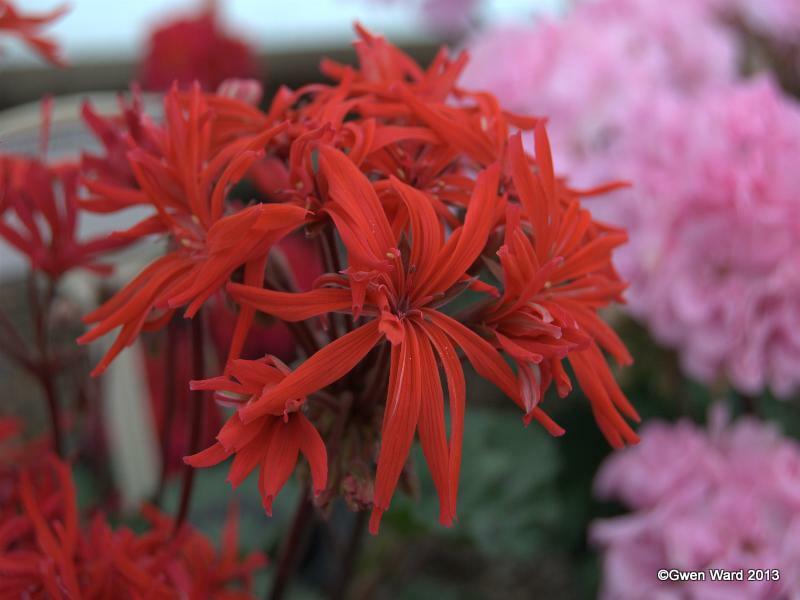 "Mini Czech" is a dwarf cactus flowered zonal pelargonium with stunning dark red quilled petals set against dark green leaves. 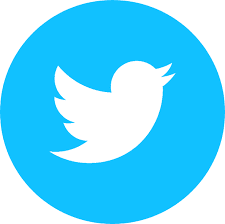 It was introduced here in the UK in 1991. 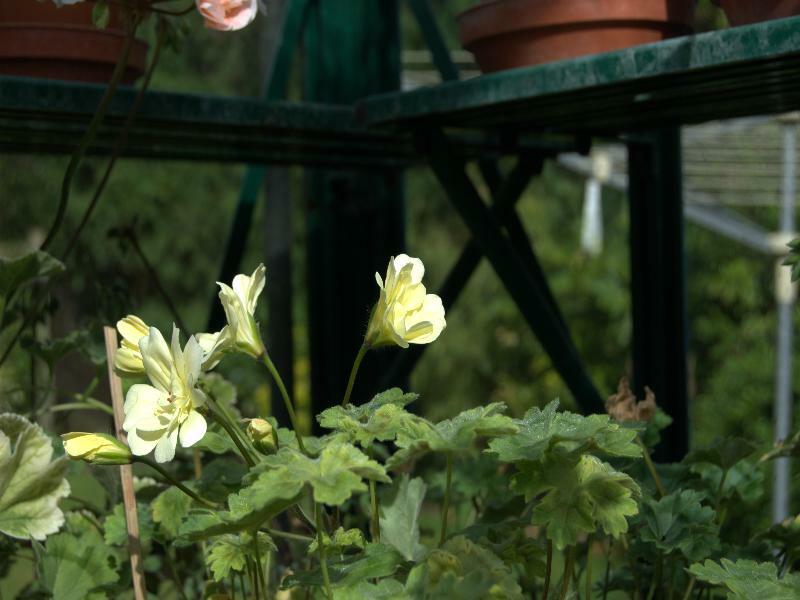 There are several other cactus flowered types – and probably the best known is Noel with pure white flowers. 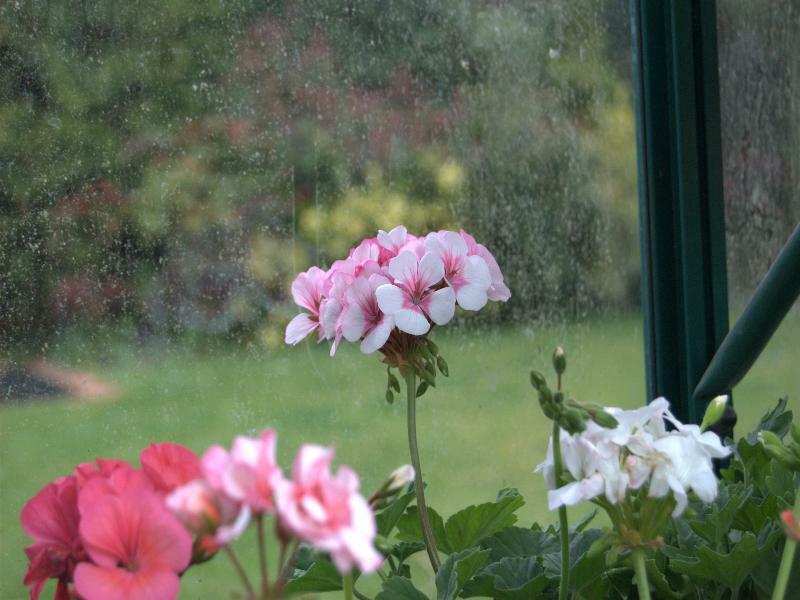 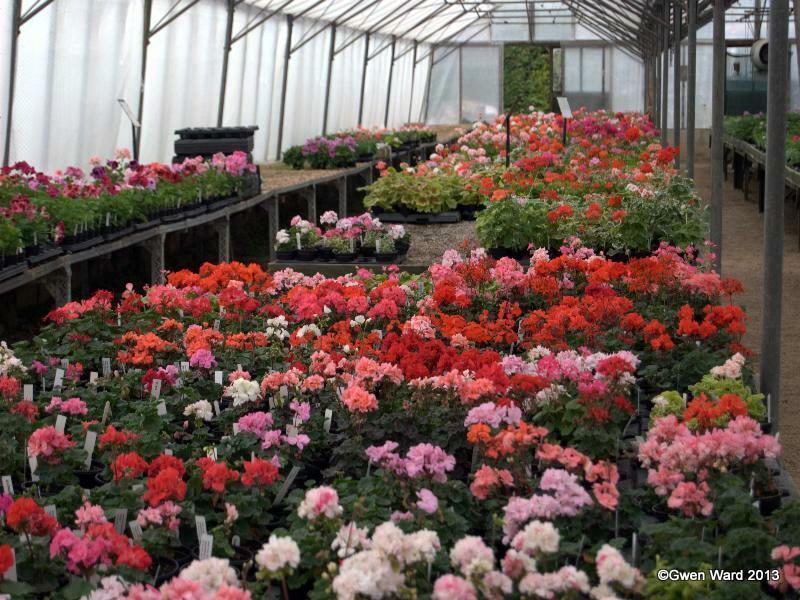 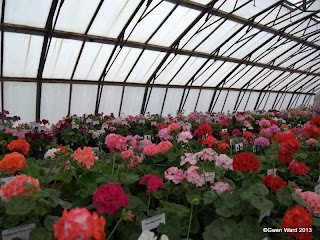 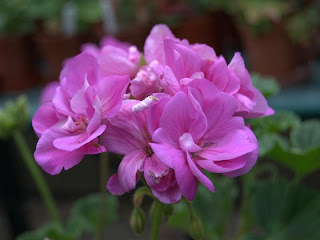 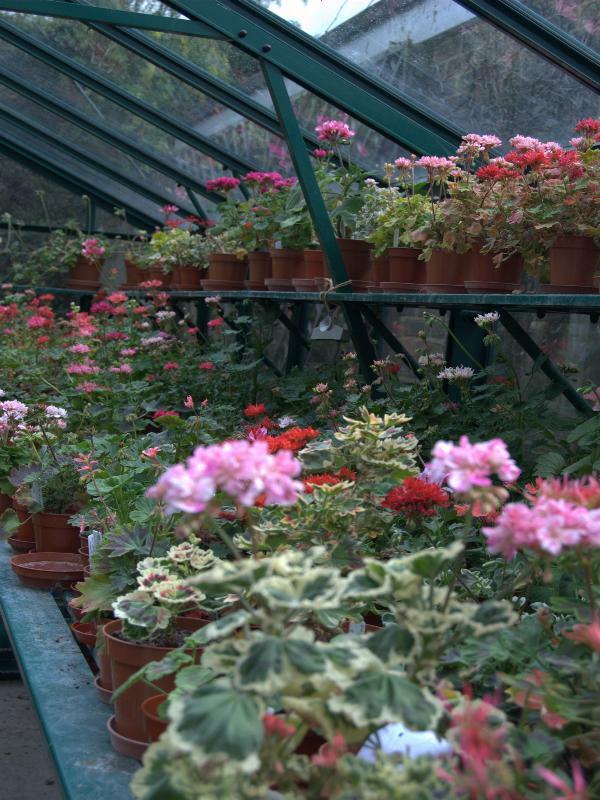 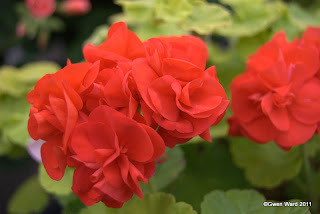 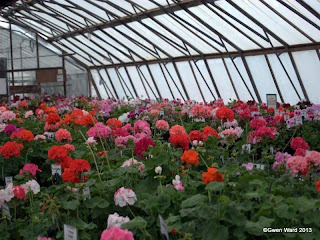 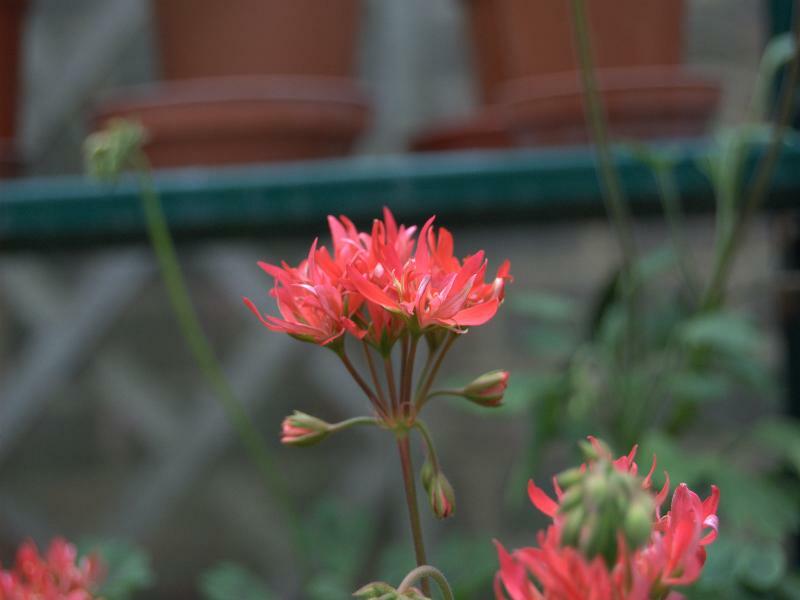 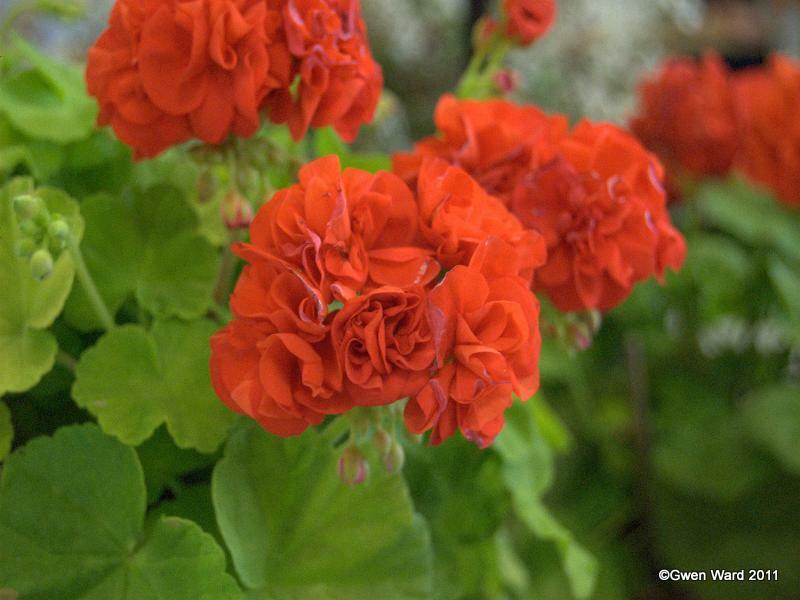 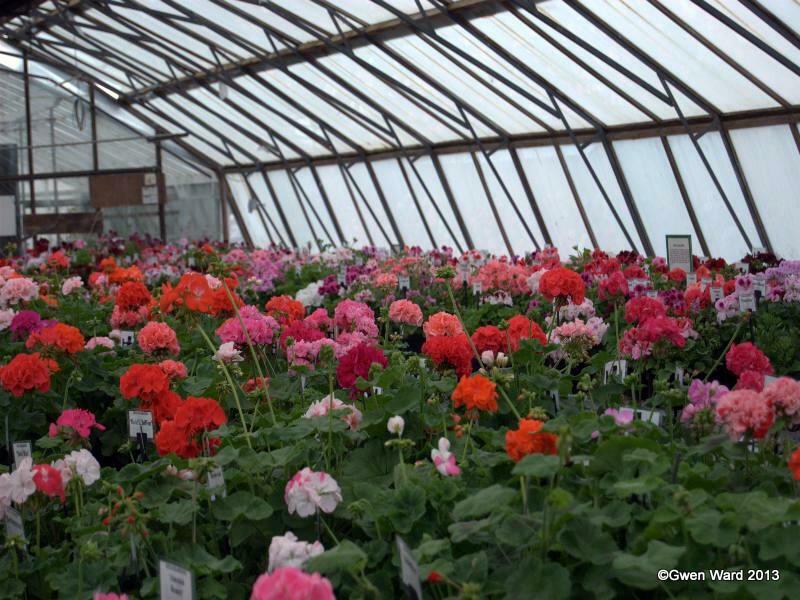 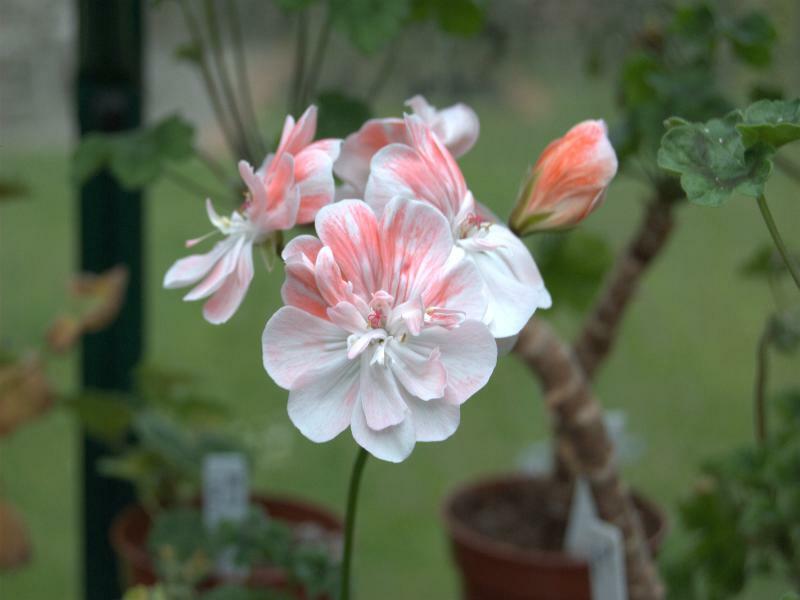 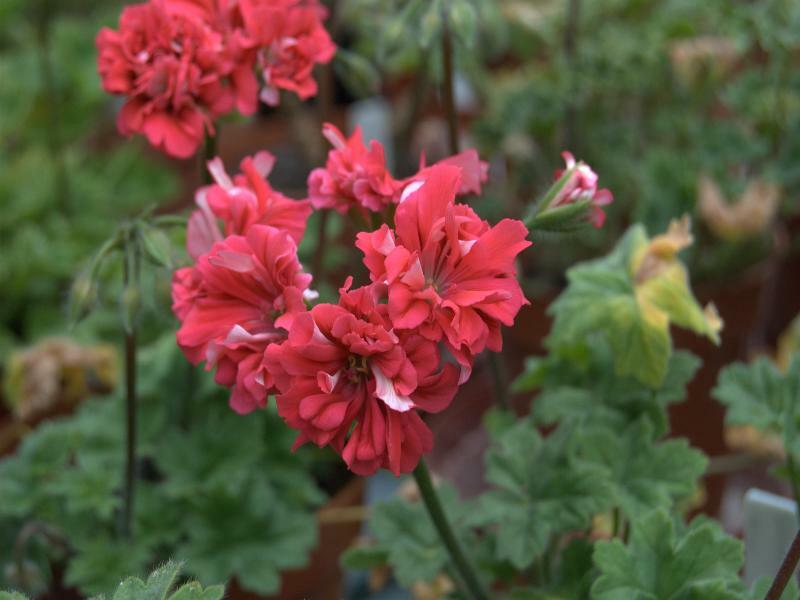 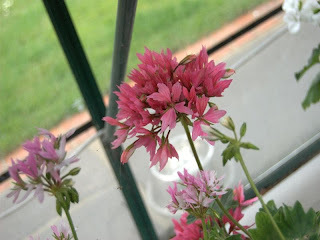 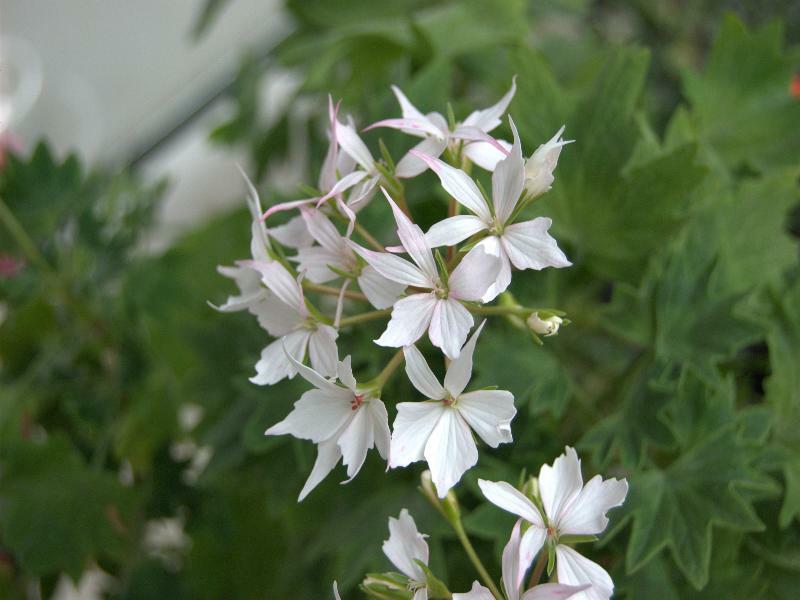 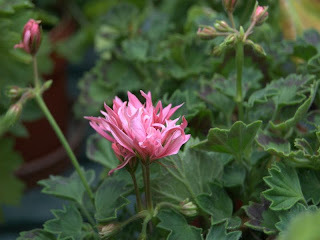 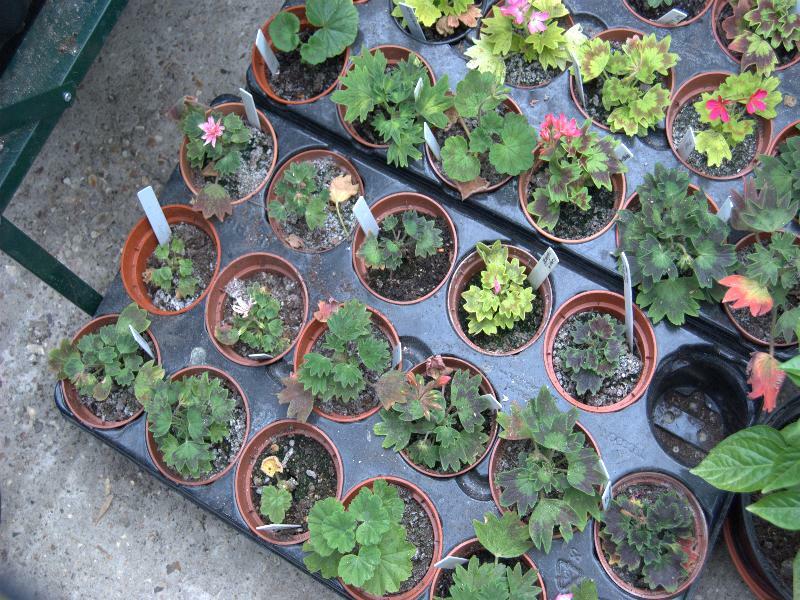 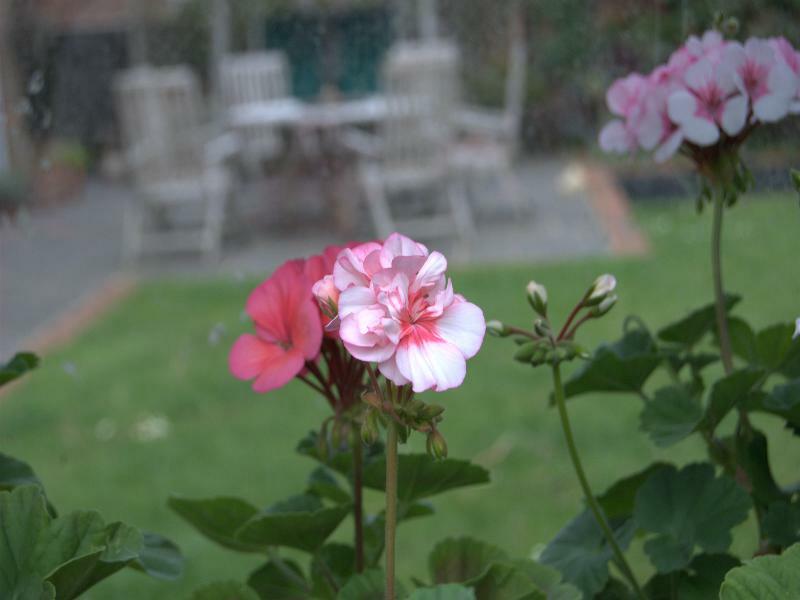 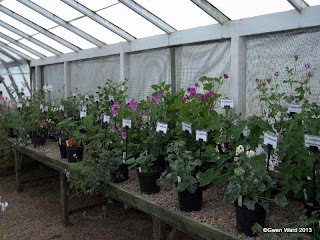 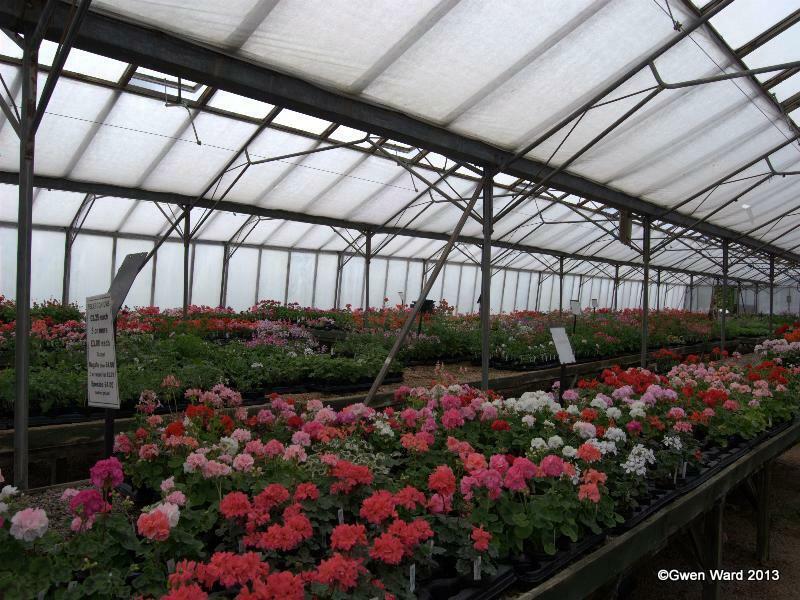 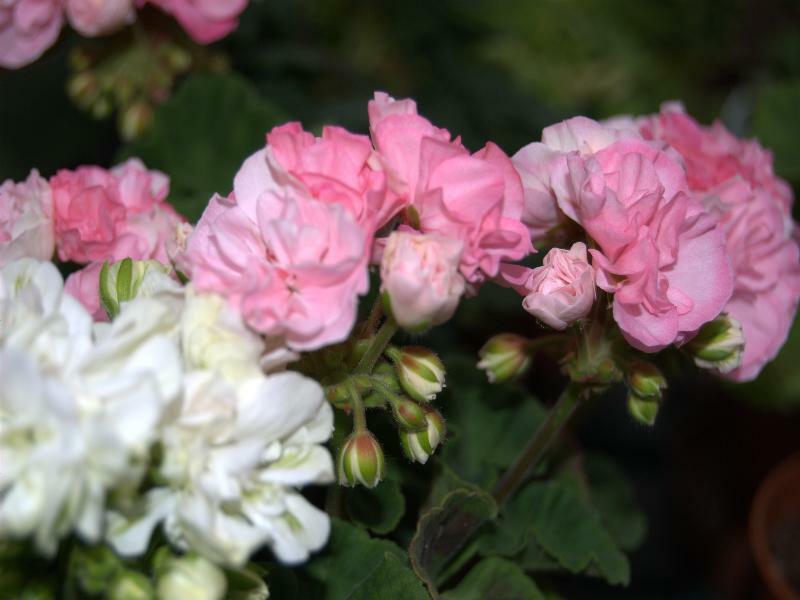 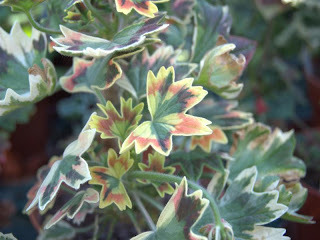 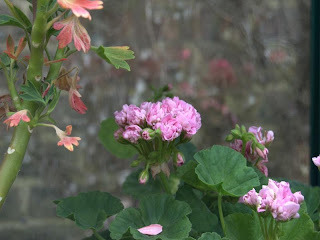 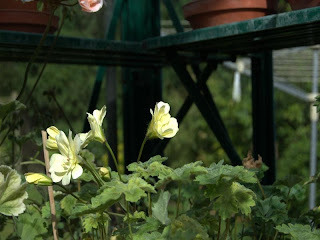 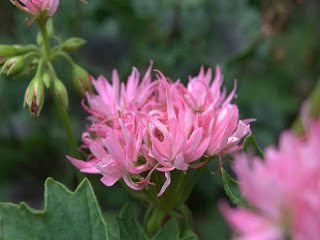 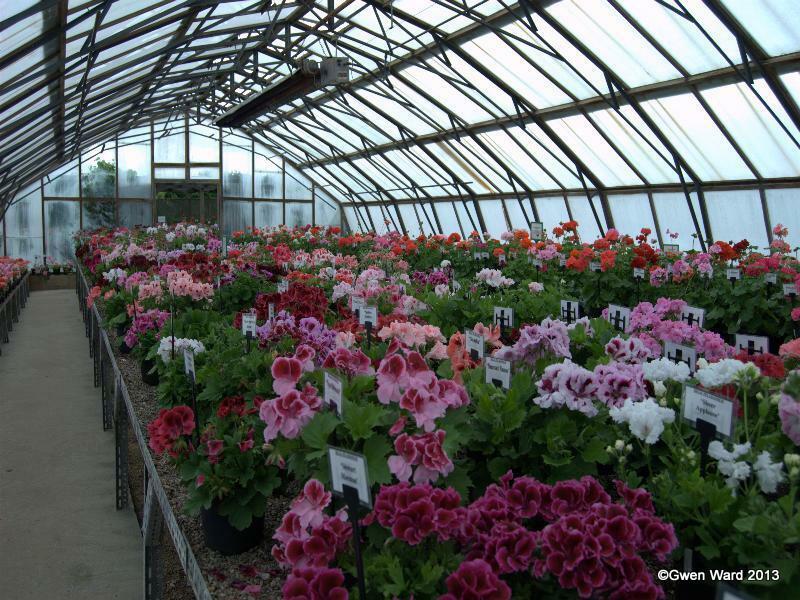 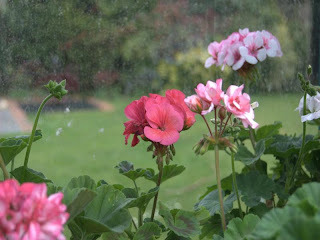 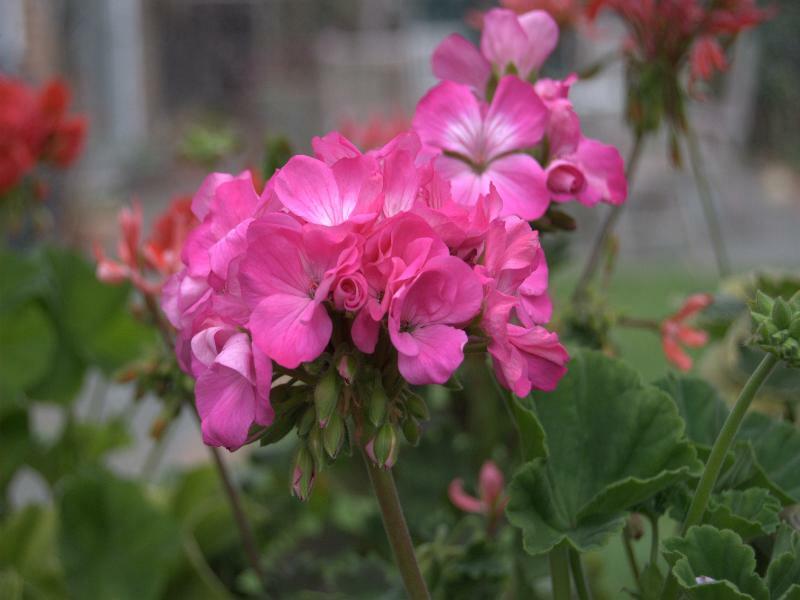 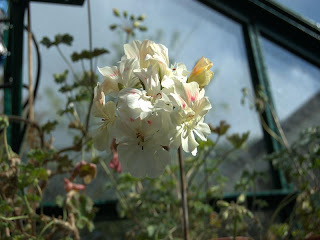 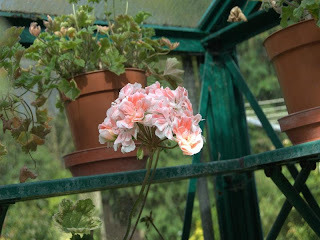 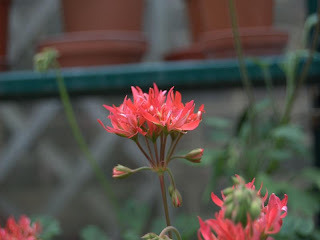 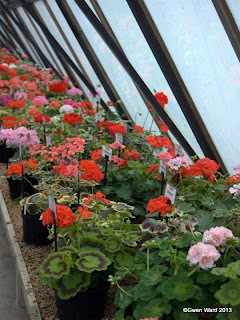 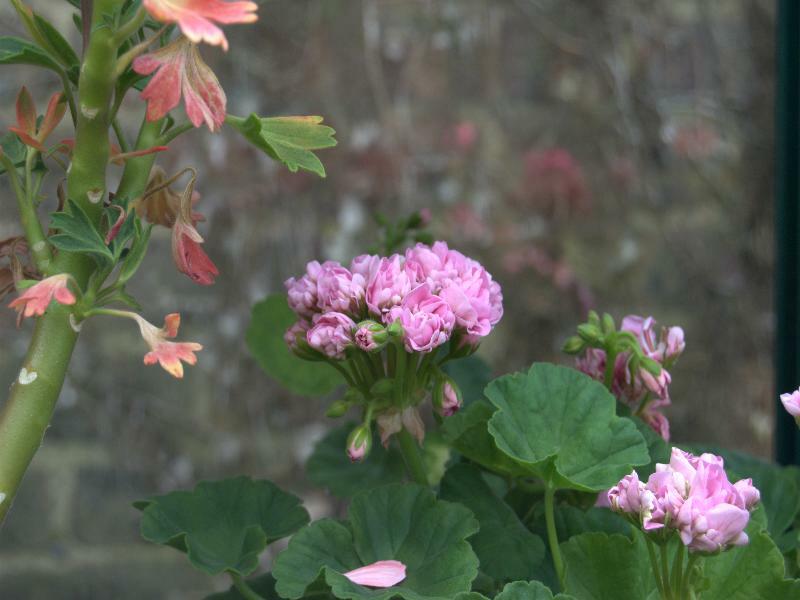 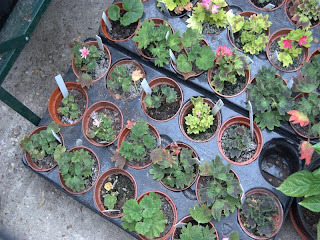 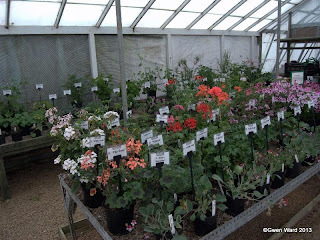 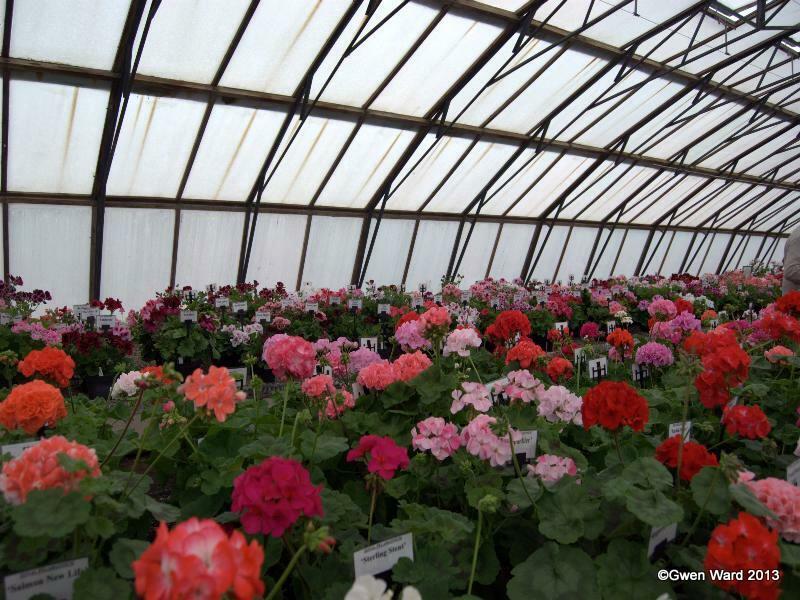 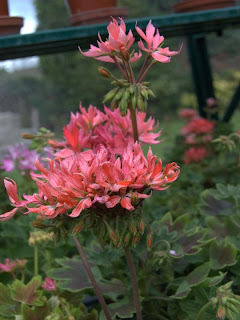 I recently spent a wonderful day at Fibrex Nursery, home of the National Collection of Pelargoniums. 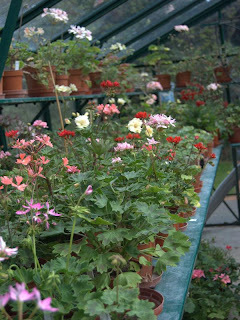 The collection was, as usual, looking splendid. Fibrex Nursery is near Stratford upon Avon, and is definitely worth a visit. 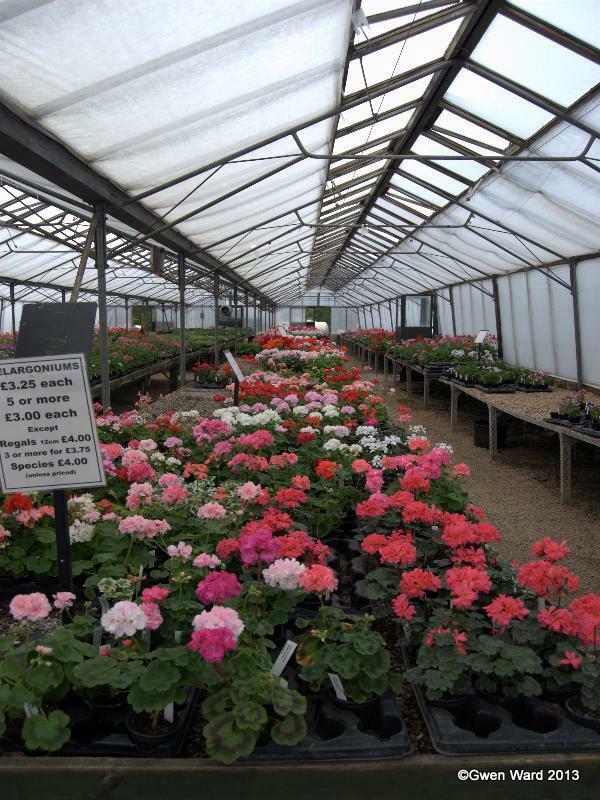 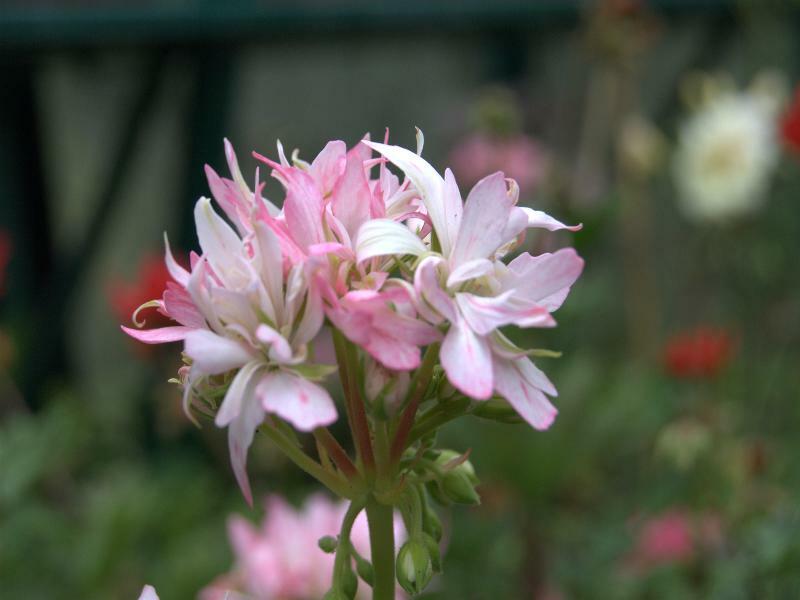 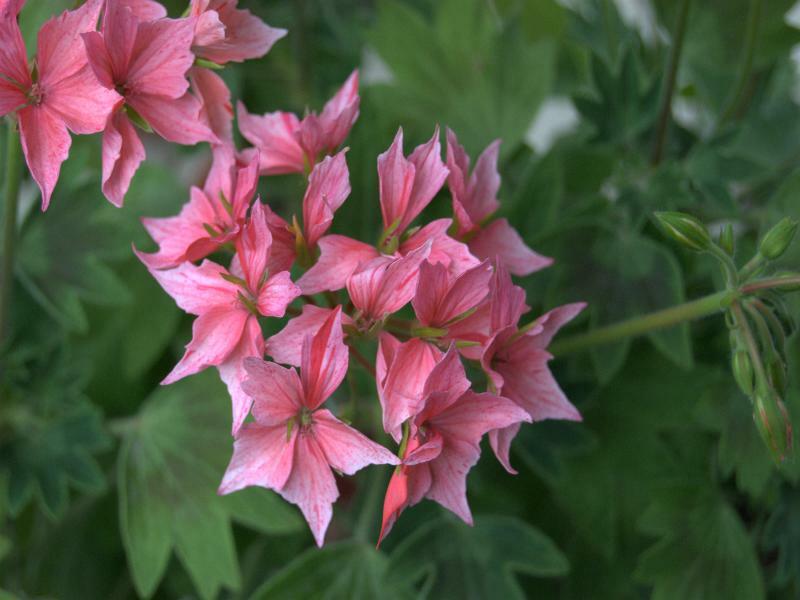 The nursery is very well stocked with strong growing plants all very reasonably priced. 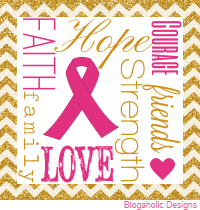 If you are not able to visit, they do mail order.